The MIT Black History Project is an ongoing collaborative research effort sponsored by the MIT Office of the Provost working to archive 150+ years of the black experience at MIT. The MIT Black History Project Entity Group at the Institute, 21 October 2015. From left: Robert L. Dunbar, Blanche E. Staton, Ramona B. Allen, Alyce Johnson, Clarence G. Williams, Toni P. Robinson, Wesley I. Richardson, Ayida S. Mthembu, Nelly A. Rosario, Suzana Lisanti, Arnold R. Henderson, Jr. The mission of the Massachusetts Institute of Technology is to advance knowledge and educate students in science, technology, and other areas of scholarship that will best serve the nation and the world in the 21st century. The Institute is committed to generating, disseminating, and preserving knowledge, and to working with others to bring this knowledge to bear on the world’s great challenges. MIT is dedicated to providing its students with an education that combines rigorous academic study and the excitement of discovery with the support and intellectual stimulation of a diverse campus community. We seek to develop in each member of the MIT community the ability and passion to work wisely, creatively, and effectively for the betterment of humankind...A Better World. The MIT Black History Project’s mission is to research, identify, and produce scholarly curatorial content. It is important to venture back in time, to search for evidence of the role and experience of blacks since the Institute opened its doors in 1865 for academic achievement and research. The project’s continuing objective is to place the black experience at MIT in its full and appropriate context by researching and disseminating a varied set of materials and by exposing a larger community of interests — both inside and outside MIT — to this rich, historically significant legacy. 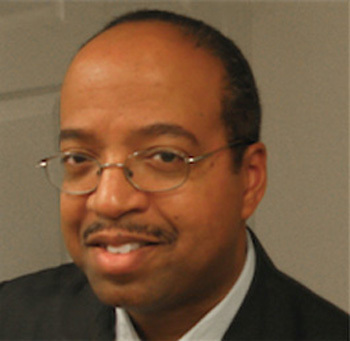 Sponsored by the MIT Office of the Provost, the MIT Black History Project began in October of 1995. The vision of Founder and Director Clarence G. Williams aimed to bring an additional humanistic interface to one of the world's premier science, engineering, and research driven educational institutions. Look at this project to get a better sense of what happens when you ignore human potential...based on appearance, which has been much of our country's history. Clarence G. Williams is Adjunct Professor of Urban Studies & Planning Emeritus and Former Special Assistant to the President of MIT. He has been an innovator in higher education for over four decades and has made major impacts on the academic and cultural life of the Institute through scholarship, mentorship, and bridge-building. Dr. Williams joined the MIT administration in 1972 as Assistant Dean of the Graduate School and and was named Special Assistant to the President and Chancellor for Minority Affairs in 1974. From 1980 to 1982, he served as Acting Director of the Office of Minority Education. From 1984 to 1997, he assumed additional responsibilities as Assistant Equal Opportunity Officer, along with a broader scope of the Special Assistant position, to serve the MIT community as an ombudsperson. From 1992 until his status changed to emeritus in 2004, Dr. Williams taught race relations and diversity courses in the Department of Urban Studies and Planning. Dr. Williams holds a BA in History from North Carolina Central University; an MA in Counseling Psychology from Hampton University; and a PhD Higher Education Administration and Counseling Psychology from University of Connecticut. He is the author of Reflections of the Dream, 1975-1994: Twenty-One Years Celebrating the Life of Dr. Martin Jr. at the Massachusetts Institute of Technology (MIT Press, 1996) and Technology and the Dream: Reflections on the Black Experience at MIT, 1941-1999 (MIT Press, 2003). Clarence G. Williams dedicated his book Technology and the Dream to his wife, Mildred, "a shining example of the mothers who sacrificed and gave so much to produce remarkable MIT men and women". Their two sons, Clarence Williams, Jr. GM '94 and Alton Williams '91, are alums of MIT. [This project] is about exploring the black experience, assessing our role, and leaving a legacy so that future generations may relate to our hopes and disappointments here, to our struggles and achievements. The MIT Black History Project team at the Institute, 21 October 2015. Back row, from left: Robert L. Dunbar, Ramona B. Allen, Clarence G. Williams, Wesley I. Richardson, Nelly A. Rosario, Arnold R. Henderson, Jr.
Doreen Morris has been Assistant Provost of MIT since 1992. 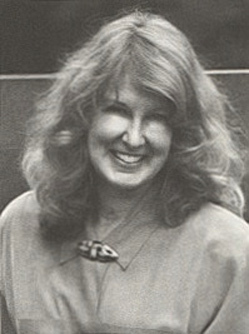 A graduate of Gordon College, Morris came to MIT in 1978 when she joined the Budget Office. In 1982, she became the financial officer in the Office of the Dean of Science. Morris received the Gordon Y. Billard Award in 1994 and a 2001 MIT Excellence Award for Building Bridges. 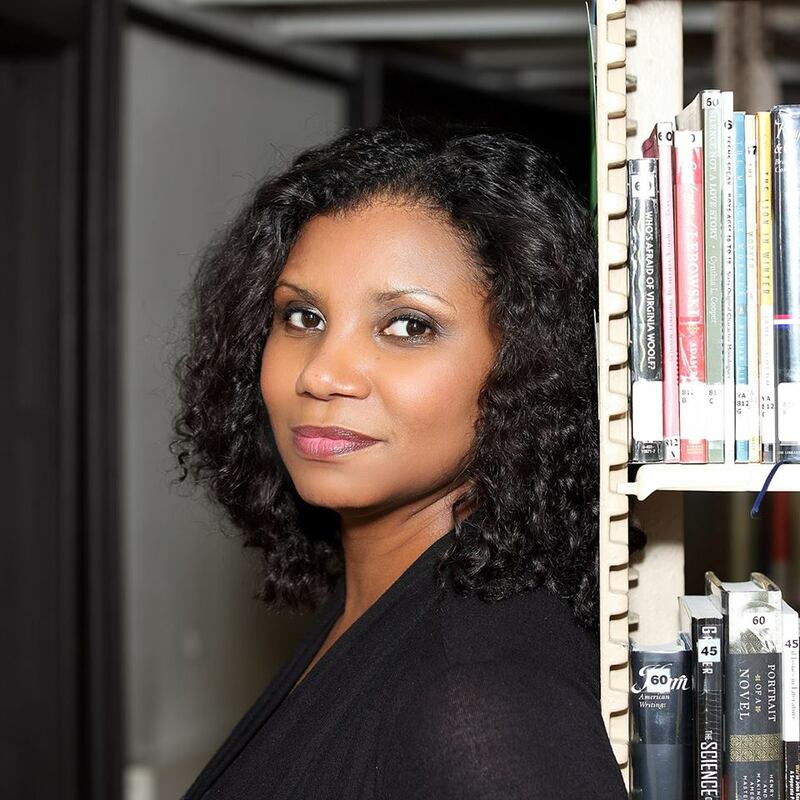 Ramona B. Allen, Assistant Dean for Human Resources in the MIT School of Architecture and Planning, is Administrator for the MIT Black History Project. Allen, a 2010 MIT Excellence Awardee for bringing out the best, is known for creating a work environment of "acceptance and inspiration" and for "always thinking of ways to move good people up the ladder of success at MIT". Nelly A. Rosario '94 conducts writing and research for the MIT Black History Project and for the MIT MLK Visiting Professors and Scholars Program. She holds an SB in Environmental Engineering from MIT and an MFA in Creative Writing from Columbia University, where she taught in the Undergraduate Creative Writing Program. Rosario is the author of Song of the Water Saints: A Novel, winner of a PEN/Open Book Award. 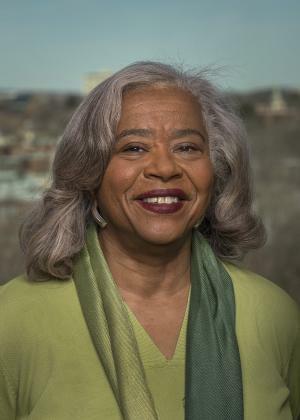 Her fiction and non-fiction works appear in various anthologies and journals; honors include the 2008 Sherwood Anderson Award in Fiction and a 2016 Creative Capital Artist Award in Literature. Formerly on faculty in the MFA Program at Texas State University and a Visiting Scholar in the MIT Comparative Media Studies/Writing Program, Rosario is currently the W. Ford Schumann Visiting Professor in Democratic Studies at Williams College. Robert L. Dunbar is a veteran of social media development, journalism, and internet search engine technologies. 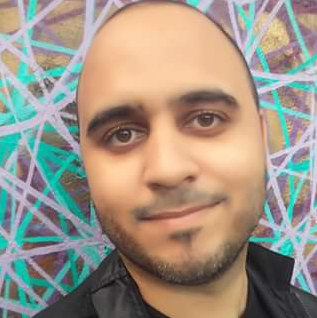 Dunbar is a writer and multi-disciplined artist in several genres, including science fiction, screen writing, composition, fiction, non-fiction, poetry, and blogging. His experience includes information technology and digital humanities experience encompassing digital image and data library management, network administration, and systems enterprise support, with thirty years of experience in the following fields: legal (intellectual property, general practice), defense (NASA, Sonicraft, Futron), non-profits (QEM Network), Journalism (Freedom Forum and Newseum), and higher education (Brandeis University, Harvard University, MIT). Dunbar has studied at MIT and is a graduate of Brandeis University with Bachelor of Arts degrees in African and African-American Studies and in American Studies. Philip N. Alexander is a Research Affiliate in Comparative Media Studies/Writing Program at MIT. For over 40 years at MIT, he has investigated the history of science and medicine, and he has worked on biographies, exhibits, and other projects related to the history of the Institute. Alexander is the author of A Widening Sphere: Evolving Cultures at MIT (MIT Press, 2011), and he completed the history of MIT's founding and early years, Mind and Hand (MIT Press, 2005), following the death of one of the coauthors (Julius Stratton) and the failing health of the other (Loretta Mannix). 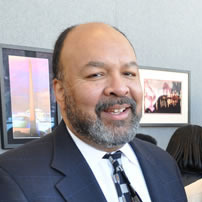 Arnold R. Henderson, Jr. came to MIT as an assistant dean for counseling in 1986 and headed Counseling and Support Services beginning in 1996. He served on numerous presidential Institute committees, including the President's Americans with Disabilities Act Advisory Committee and the President's Planning Committee for the Dr. Martin Luther King Jr. Celebration. Henderson has been honored with a 2000 YMCA Black Achiever Award, a 2009 MIT Excellence Award, and a 2012 MIT MLK Leadership Award. He and his wife Jeannette are the parents of jazz vocalist Lauren Henderson. DiOnetta Jones Crayton is the Associate Dean for Undergraduate Education and Director of the Office of Minority Education at the Massachusetts Institute of Technology. Dean Crayton plays a critical role in ensuring that the Institute develops and supports the overall success of all students, particularly those from underrepresented minority groups. Prior to this appointment, she was the Director of Diversity Programs for the College of Engineering at Cornell University. She previously served as Director of Education, Training and Outreach at The National Consortium for Graduate Degrees for Minorities in Engineering and Science, Inc. (GEM). Before joining GEM, she held the position of Statewide Associate Director for California’s Mathematics Engineering and Science Achievement Schools Program at the University of California, Berkeley Office of the President. She also served as Director of the MESA Schools Program and the MESA Engineering Program at the University of the Pacific in Stockton, CA. Dean Crayton is affiliated with many educational and technical organizations, and she has held several national positions including Director for Diversity Advancement for the Women in Engineering ProActive Network, Inc. (WEPAN); National Treasurer for the Institute for Broadening Participation; Member of the Massachusetts’ Governor’s Diversity Subcommittee on STEM; and she is a former National Secretary of the National Association of Multicultural Engineering Program Advocates, Inc. (NAMEPA). She is also an active member of Alpha Kappa Alpha Sorority, Inc. She has won several awards at MIT and nationally, including the DUE Infinite Mile Award for Leadership in 2010, the BSU Faculty/Staff Member of the Year Award in 2016, BWA’s Inaugural Ayida Mthembu Award in 2017, and most recently, she won the coveted WEPAN Inclusive Culture and Equity Award for her tremendous work in diversifying STEM in higher education. Dean Crayton holds a BA Degree in Communications from Northwestern State University in Natchitoches, LA and a MA Degree in Educational and Counseling Psychology from the University of the Pacific in Stockton, CA. She is a licensed minister, and she has also completed post-graduate course work in Education Administration, Divinity, and Theology. 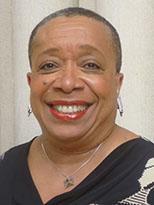 Alyce Johnson is Manager of Staff Diversity and Inclusion at MIT. Her career in all facets of human resources spans over 30 years. She is co-chair of the Institute's Committee on Race and Diversity, which represents the diverse interests of faculty, students, and staff. She also leads the Council on Staff Diversity and Inclusion. 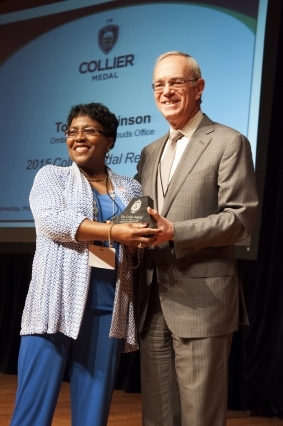 Johnson was awarded a 2012 MLK Leadership Award and the Gordon Y. Billard Award in 2016 for her dedication to diversity and inclusion for staff employees. Ayida S. Mthembu is former Eastgate Associate Housemaster and Dean in MIT’s Student Support Services. Before retirement, Mthembu, also writer, was an administrative and cultural mainstay at MIT, from hosting Black women writers on campus and moderating panels to serving as an important resource for faculty and students. 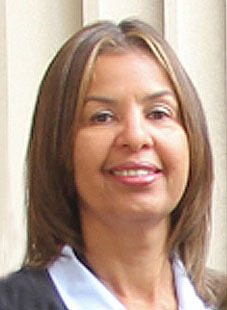 Toni P. Robinson formerly served as an Ombudsperson, Certified Mediator, and instructor within the MIT community since 1998. Prior to retirement, she had over twenty-five years experience in management, ombudsmanry, conflict resolution systems design, training, mediating, coaching, and consulting. Robinson also conducts numerous courses and workshops on communication processes and skills, diversity, harassment prevention, team leadership, and policies/procedures/resources for administrative and academic departments, labs, centers, residence and student groups within and on behalf of MIT. She is a mentor in the MIT Bio Matrix program, a member of the MIT pre-law advisory team, and periodically serves in an advisory capacity to various internal committees and focus groups which address issues within the MIT community. She has also taught courses on negotiation and dispute resolution in the MIT Sloan School of Management MBA Program. Robinson holds a Juris Doctor Degree from the Seattle University School of Law and a Masters of Science/Applied Behavioral Science Degree from The Johns Hopkins University. In 2015, MIT awarded Robinson The Collier Medal of Service, honors the memory of Officer Sean Collier. Robinson retired from MIT in September of 2017. Blanche E. Staton is Senior Associate Dean for Graduate Education. She came to the Institute in 1997 from Penn State University, where she directed one of three regional offices dedicated to undergraduate recruitment and admissions. 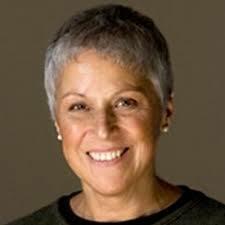 Her career in higher education has also included leadership roles at the University of Pennsylvania as director of minority admissions and associate director of admissions for the Wharton School’s MBA Program; at Temple University as a senior recruiter/counselor at the School of Medicine; and in her own firm as a private educational consultant. In her role as interim Dean in MIT’s Office of the Dean for Graduate Education (ODGE), Staton advises graduate students, faculty, and administrators on MIT graduate education policy, serves on numerous Institute committees, provides advice and support to graduate students, and creates and sponsors programs to enhance graduate student life and to prepare them for leadership. Staton holds an MEd with specialization in counseling and has authored numerous articles on student life and community, including co-authoring the article "Making the Case for Graduate Community" in the Journal for Higher Education Strategists as well as a chapter in the book Forward to Professorship in STEM: Inclusive Faculty Development Strategies that Work (Elsevier 2016). 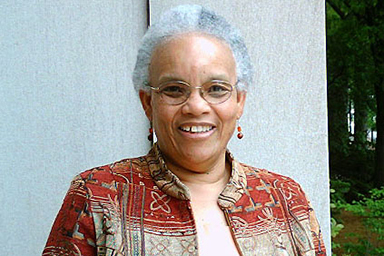 Among other honors, Staton was selected as Black Achiever of the Year by Black Opinion Magazine, and has been recognized for her leadership and tireless commitment to students through an MLK Leadership Award and MIT’s Infinite Mile Award in 2004, a Gordon Y Billard Award in 2010, and a Tribute to Outstanding Women award from the Cambridge YMCA in 2013. Suzana Lisanti was a Video Producer for the MIT Black History Project tenured faculty interviews, also providing early Web-communications strategy and project management. Prior to retirement, she did the same for Web-based archives of many websites across MIT, including the MIT Home Page, Global MIT, the Human Cost of the War in Iraq, the Office of Experiential Learning, The Edgerton Center, and the Institute Community & Equity Office. 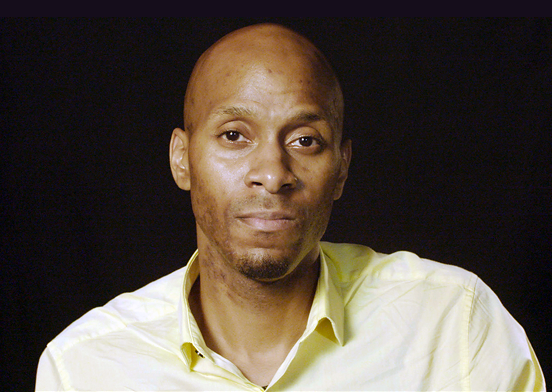 Wesley I. Richardson was a Video Co-Producer for the MIT Black History Project tenured faculty interviews. He is Field Production Videographer for MIT Video Productions (MVP). Ronald J. Martin SMACT '17 was an ODGE Graduate Fellow with the MIT Black History Project. He edited faculty video interviews and produced the April 2016 campus exhibit "Infinite Footsteps" for the project. A graduate of the MIT Program in Art, Culture and Technology (ACT), Martin studied art at the Cooper Union and the Staedelschule. He has shown work, published articles and lectured at the Portikus Galerie in Frankfurt and the 2009 Venice Biennale. We thank MIT Information Systems & Technology (IS&T), MIT Communications Initiatives, and MacPhee Design Group for providing the MIT Black History Project with Drupal 8 web development, content strategy, and design services. Have a piece of MIT black history to share? The MIT Black History Project’s mission is to research, identify, and produce scholarly curatorial content on the MIT Black experience. If you have an important item you believe the project should consider for its collection, please start by contacting us on this website. The mission of the MIT Black History Project is to research, identify, and produce scholarly curatorial content on the Black experience at MIT since the Institute opened its doors in 1865.